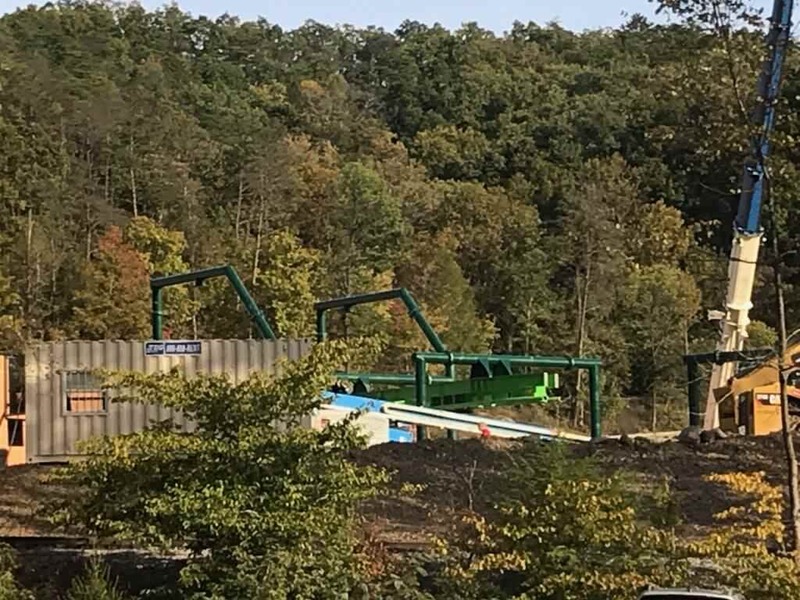 Dollywood 2019 - Wildwood Grove: Family Area & Vekoma SFC : Theme Park News & Construction! 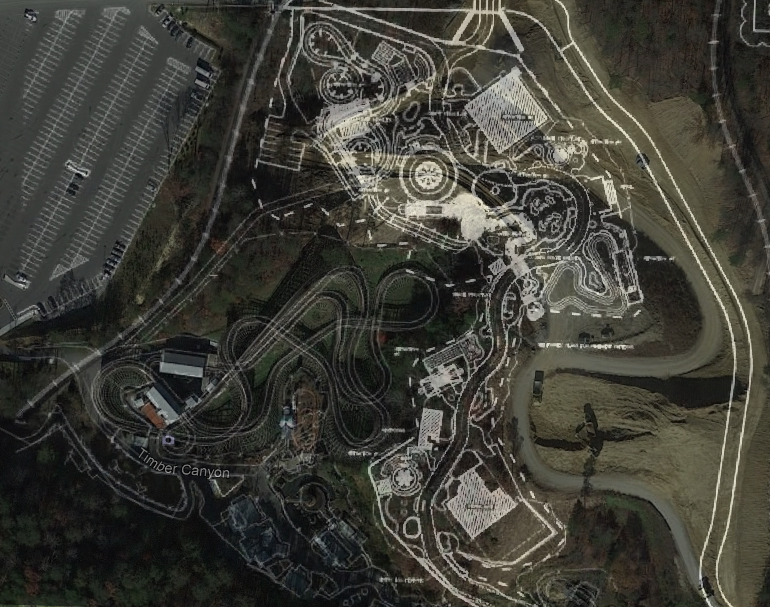 Plans have surfaced for Dollywood's first big expansion behind Thunderhead that will probably open next year. 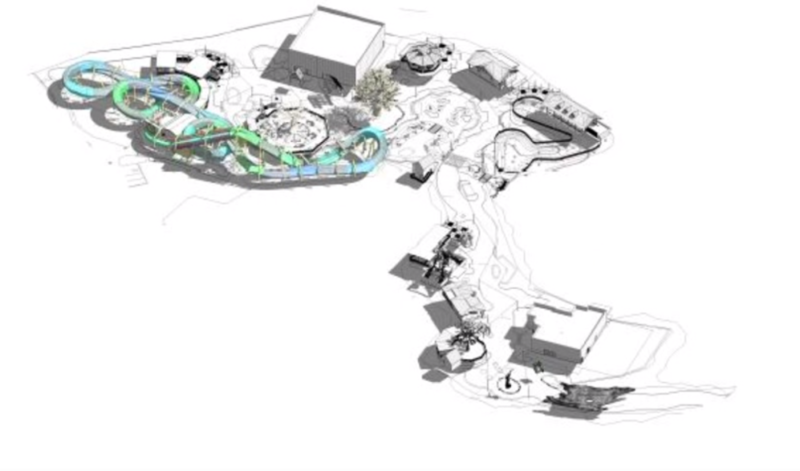 No theme has been announced but it is clear that it will feature an Orkanen clone and an enclosed ride of some sort. 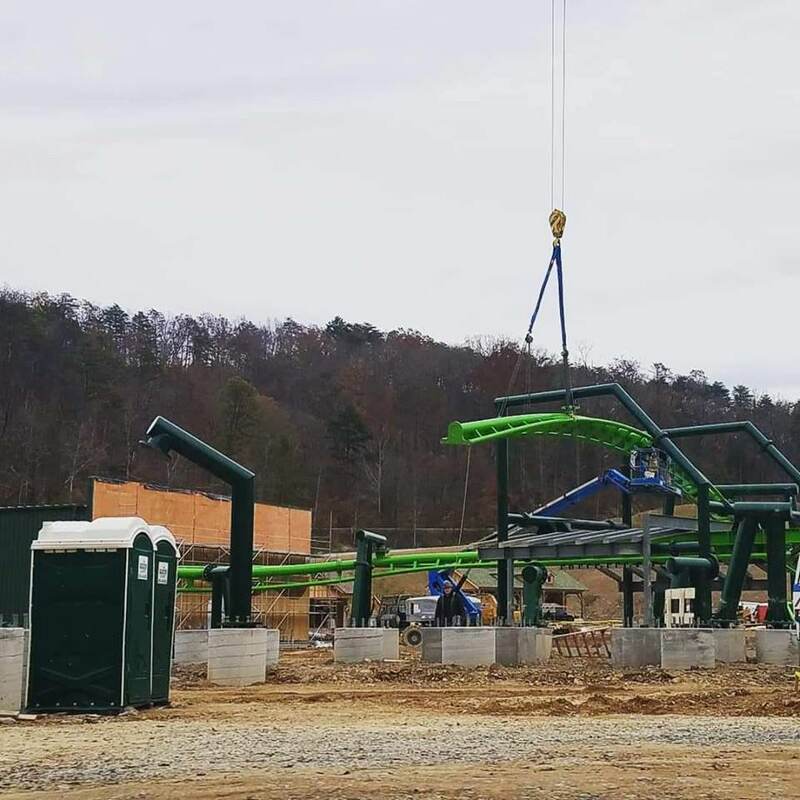 Solid additions, Orkanen looks like a really fun ride! 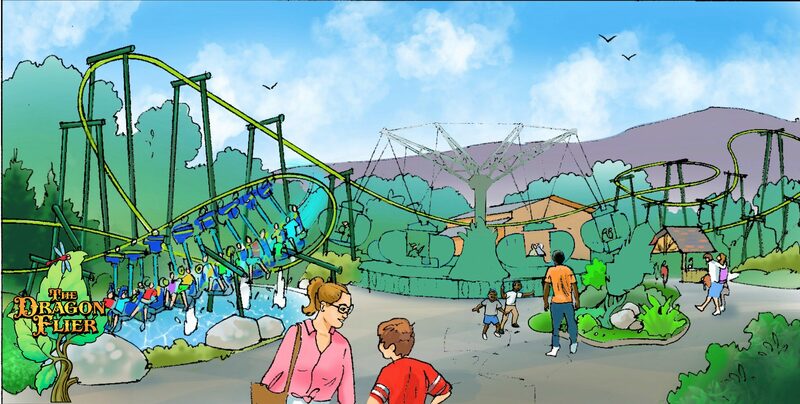 Wow my question is what if B&M built an Orkanen model with a few quick zero-g-rolls instead of airtime humps? 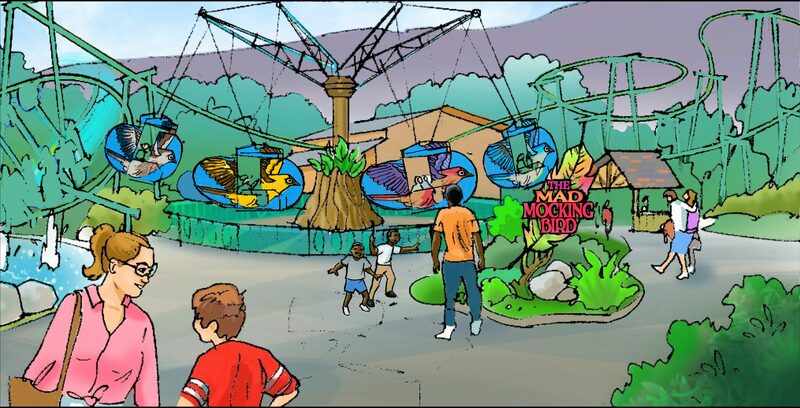 Also, according to Screamscape, an announcement is due on August 3rd for the new 2019 expansion. 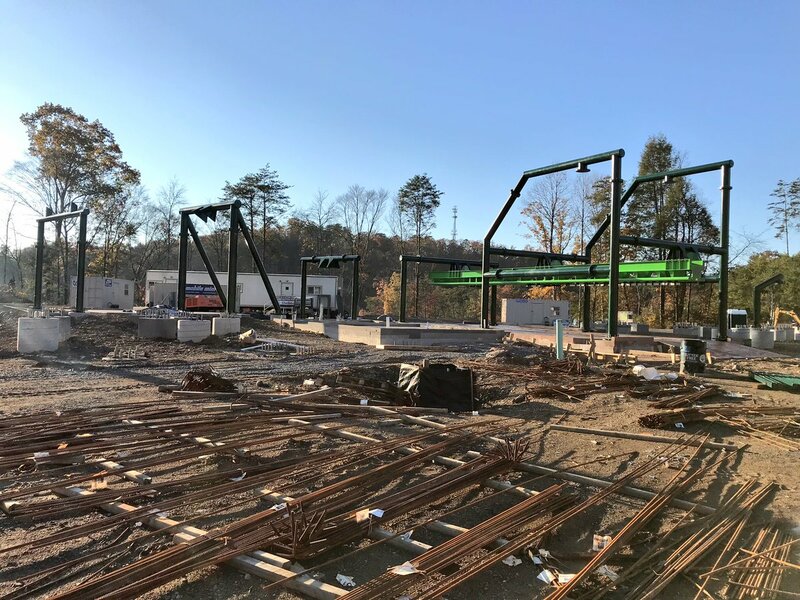 When it comes to Dollywood’s largest expansion – Wildwood Grove – you might expect that I would be most excited about the 11 new experiences or the increased amount of space that the area is going to provide to the families who visit Dollywood every year. 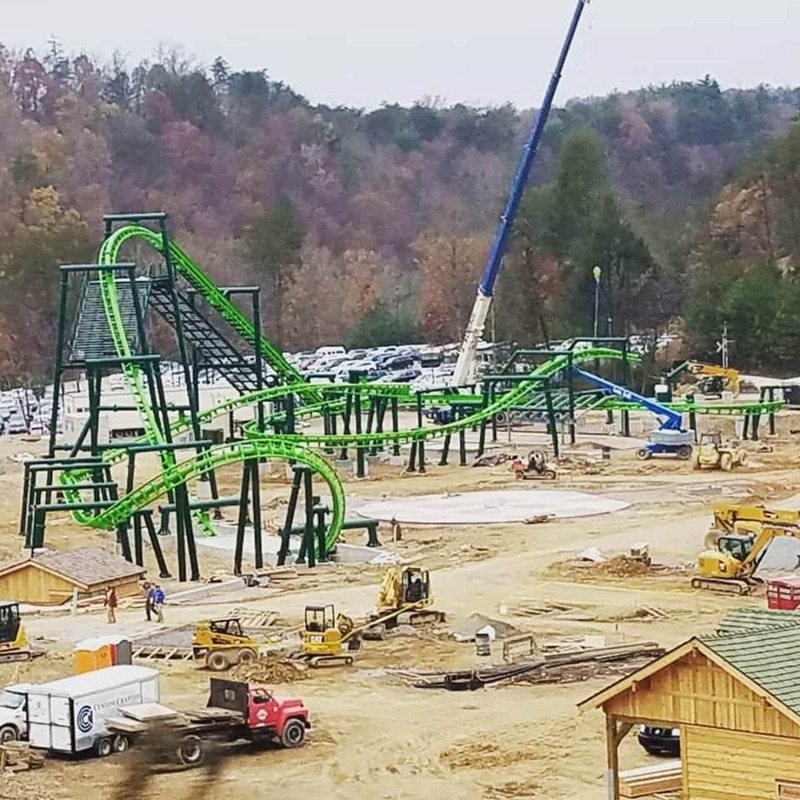 I am, however, most excited about the expansion of “heart” that Wildwood Grove will bring to Dollywood in 2019. 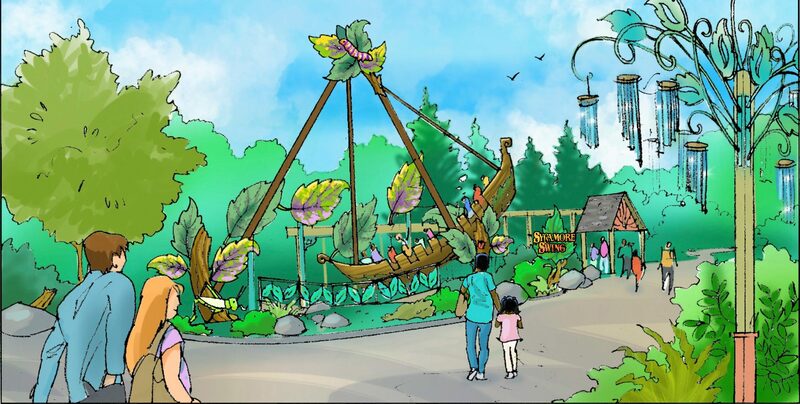 For many years, Dollywood has been a place where families go to reconnect, to play together and to make memories worth repeating. 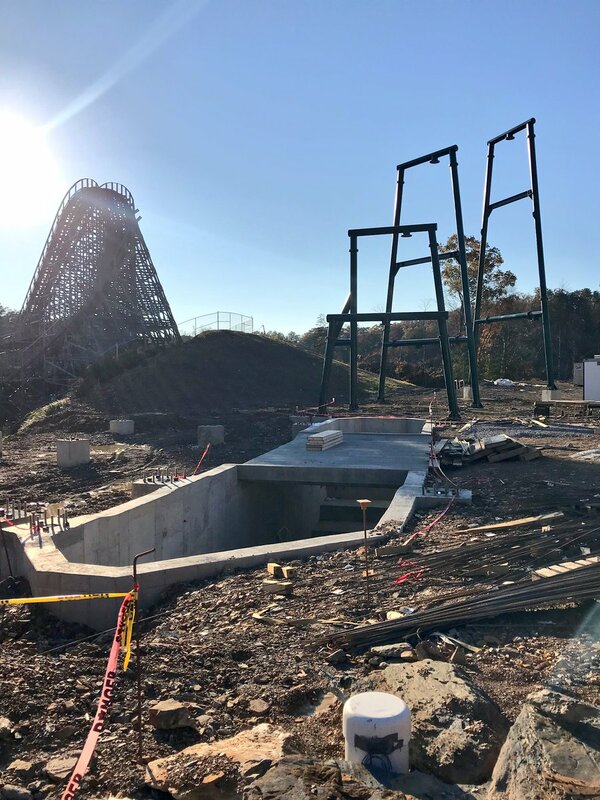 We’ve been dreaming about this for many years, and now in Wildwood Grove, all of us will get to experience a brand new story that fits well within the vision Dolly created for Dollywood more than 30 years ago. 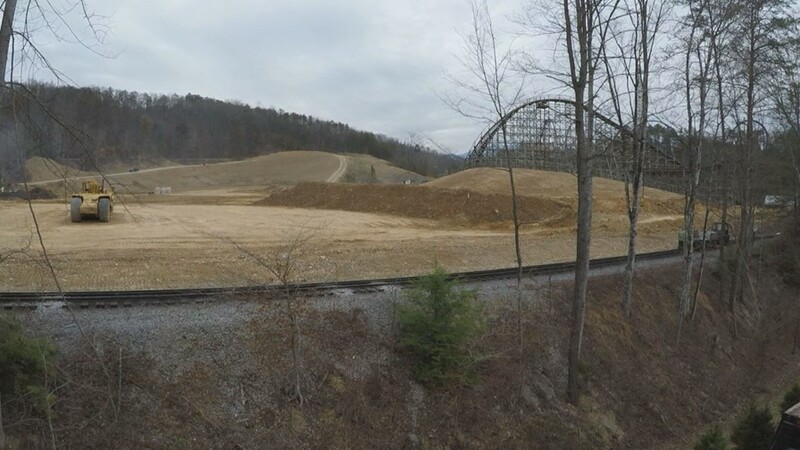 While, Wildwood Grove is a whole new land big enough to be its own property, it is still ALL Dollywood. 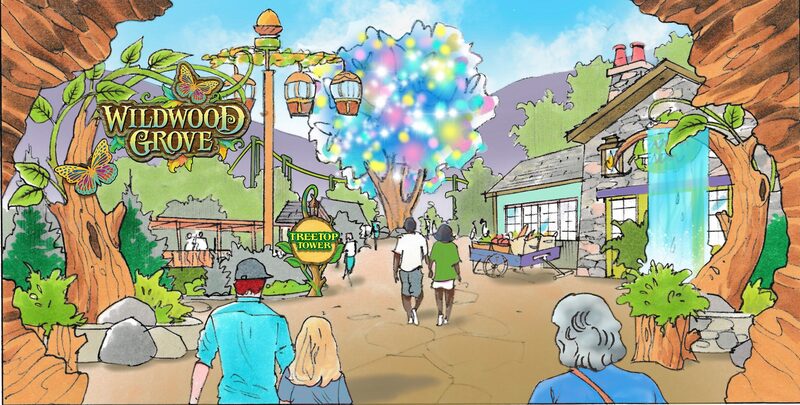 The entire area is centered on the massive Wildwood Tree, an icon covered in brightly-colored leaves and butterflies that speaks to the heart of Dollywood and to the heart of the Great Smoky Mountains. 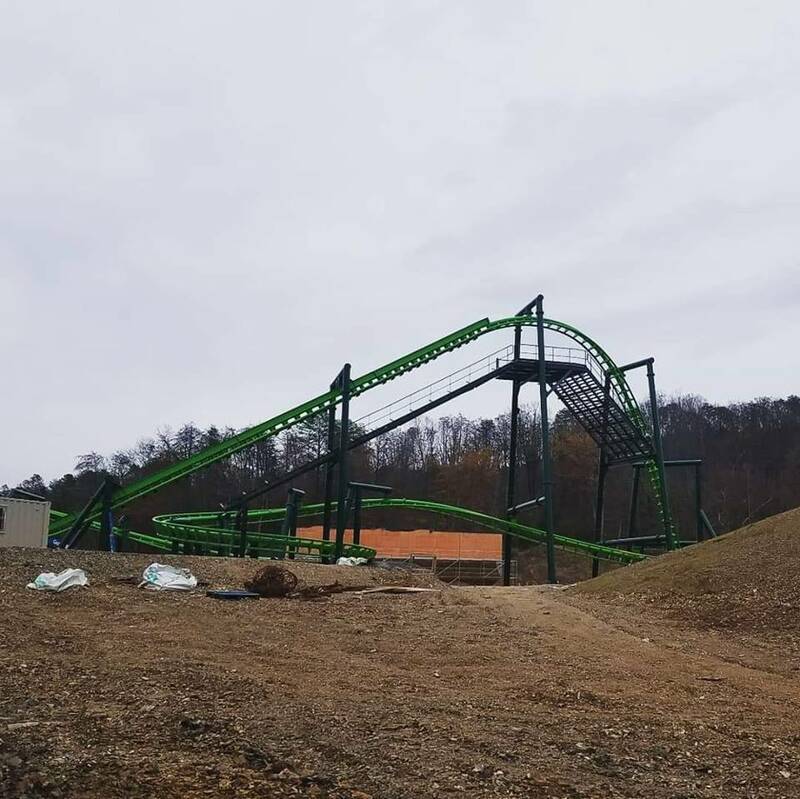 It stands proud over a land built within the imagination of the Great Smoky Mountains. It glistens with the majesty of the forest and glows brightly every night, creating an ever-changing experience day or night. As soon as you pass though the hollow log portal of the new land, you feel the difference. The Wildwood Tree stands over the entire area, its heart song ringing true in the breeze, just as Dolly described it. 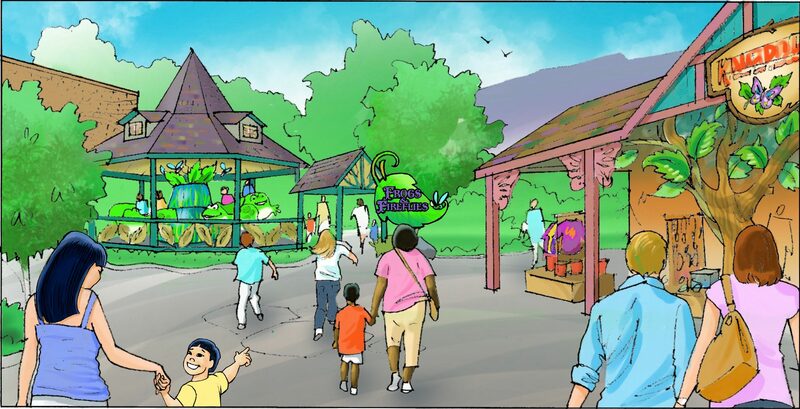 The entire area is filled with beautiful and distinctive rides and attractions for families to explore. You can imagine yourself riding on the back of a Smoky Mountain black bear, swinging on a giant leaf, or flying suspended from a dragonfly. Most important, Wildwood Grove is a place the entire family can play together. 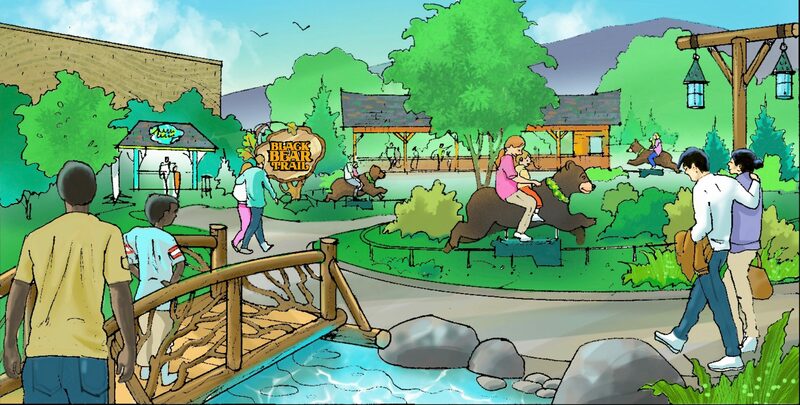 There are indoor and outdoor spaces to play and experience; new friends to meet; and a great new restaurant to refresh and recharge. In short, it is a new adventure and I, for one, cannot wait to take my family on a hike through Wildwood Grove, stand alongside and watch the kaleidoscope of colors dance on the Wildwood Tree. We might even hop on a bear or ride on a dragonfly – together. This actually looks really nice. 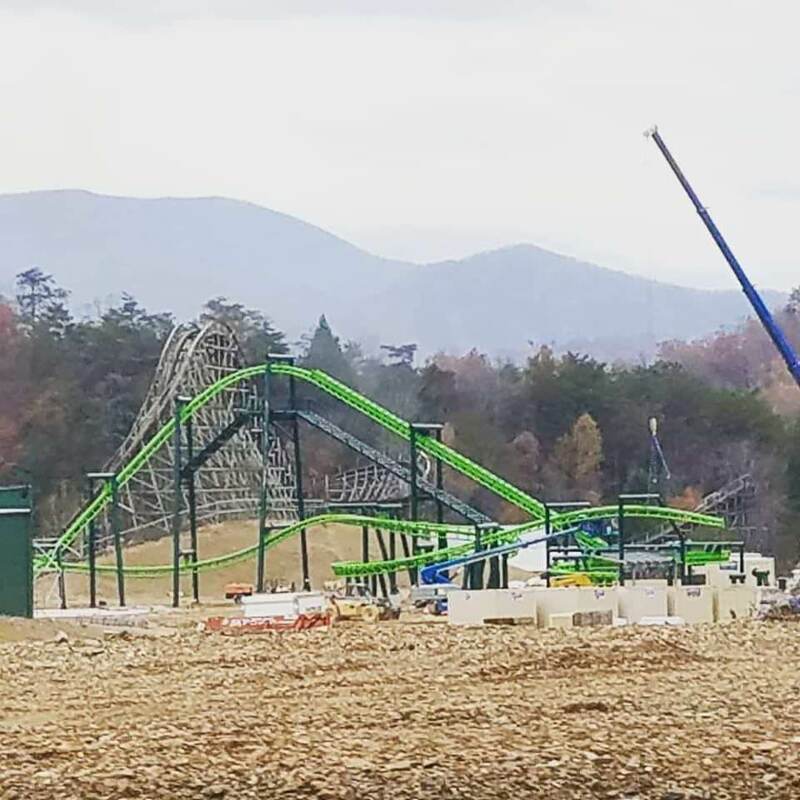 2019 looks like the right time to go back to Dollywood, especially since I still need my missing Lightning Rod credit! I need to head back too since Lightning Rod will most likely be down for me in 2 weeks. 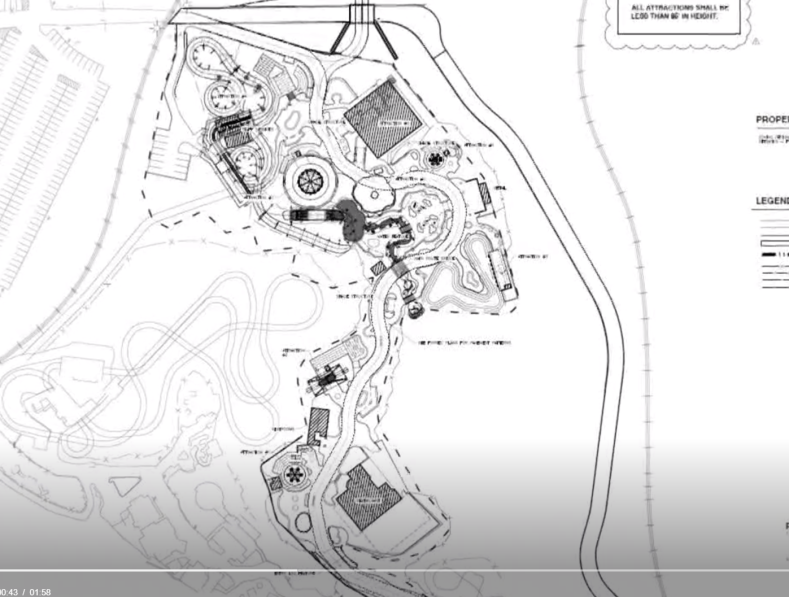 Sounds like a great expansion for their park after Lightningrod which isn't really for smaller children! 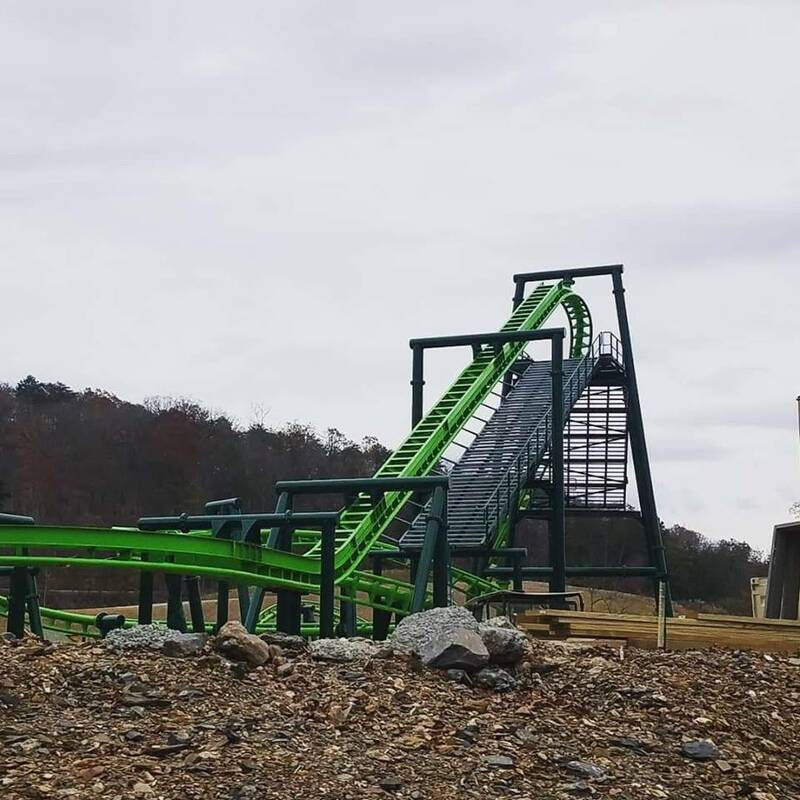 This will open before Lightning Rod runs consistently lol. I love the shaping on that first overbank, it's a real good inverted style turnaround. Key notes to take is that Dragon Flier is now fully installed and that the Mad Mocking Bird has also been installed now.